and seafood from all parts of the world. We source an extensive range of fresh as well as frozen fish from all over the world, directly from carefully selected producers. This allows us to offer our clients most of our products at a very interesting price/quality ratio. We serve a broad portfolio of customers with an extensive range which is adapted to each specific type of customer, according to the type of product, the size as well as the quality..
We handle the challenges we are facing in our industry each day with great enthousiasm. We set out to buy the best and freshest products, which we process according to the most stringent existing quality criteria (we are IFS certified). In order to provide you the best service, we keep an extensive stock, without jeopardising the freshness of our products. 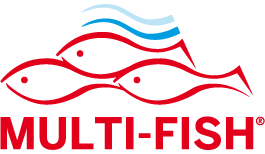 On top of that, we are MSC and ASC certified, which means we offer you the best sustainable seafood. We are a professional team with a great passion to serve our customers the best products. Our team members are born and raised in the fishing industry and/or have years of experience in sourcing, processing and selling seafood. Delivering the most delicious, healthy and most noble type of food to consumers in our home market as well as abroad, is without any doubt the most beautiful job in the world.